Samsung India has launched the Samsung Galaxy Note 3 in India for ₹ 49,990. The Galaxy Note 3 becomes a second costlier Android phone in India. The Galaxy Note 3 comes with a wider 5.7-inch AMOLED display with 1920 x 1080 resolution, 3200 mAh Battery, 1.9 GHz Octa Core Processor, 3 GB of RAM and the device runs on Android 4.3 Jelly Bean. The device is equipped with a 13 MP rear camera with Smarty Stabilization and high CRI LED flash. Users can record 1080p HD videos at 60 FPS. Samsung used textured leather back cover to give Note 3 a premium look and feel. Samsung also reinvents Note 3 S Pen, A simple click on the S Pen button while hover over the screen brings Air Command on the screen. Air Command is a palette of five features that can start from anywhere on the phone. Samsung Note 3 comes with the KNOW security system, The KNOW is integrated at system level and can protect your phone against Malware and phishing attack as well as hacking attempts. User can also disable the phone, if they lost the phone. 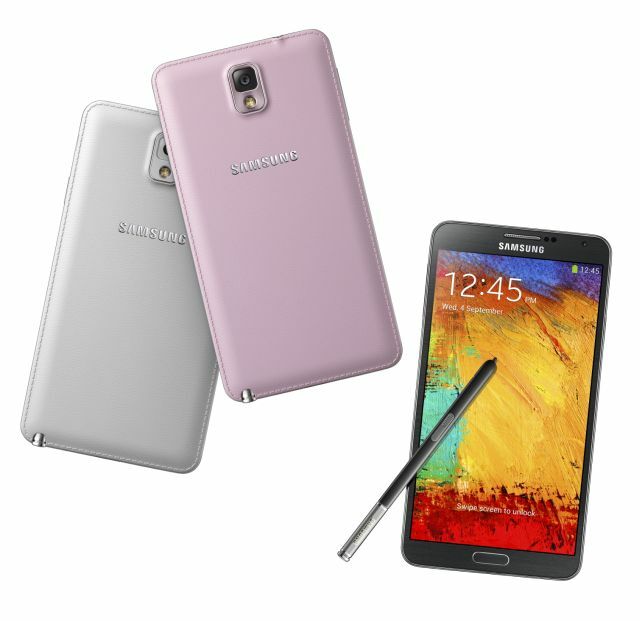 Samsung Galaxy Note 3 is available with 32 GB of Internal Storage with an additional MicroSD card slot. The Note 3 comes in Black and White colors. Samsung India also partnered with Vodafone to give 2 GB of 3G/2G data per month for next two months. The device will be available from September 25th. Company currently taking preorders. The Note 3 comes pre-loaded with 11 regional Indian languages, including Hindi, Punjabi, Bengali, Gujarati, Tamil, Telegu, Malayalam, Kanada, Marathi, Oriya, and Assamese. Preloaded with 11 regional languages.